The Virginia Society of Association Executives (VSAE) released its 2017 Calendar of Events. The schedule for 2017 includes 13 events that qualify for up to 50 hours of certified association executive (CAE) credit hours. There are events in every month of the year providing between one-quarter hour to eight hours of credit per day. VSAE’s 2017 calendar starts with a presentation from Dr. Bob Holsworth on Friday, January 6 at The Jefferson Hotel in Richmond, Va. The regular Monthly Seminar & Luncheons will be held in the months of February, March, April, June, September, and November at hotels throughout the Richmond metro area. Other event highlights include the 2017 CEO & Senior Staff Retreat, scheduled for September 18-19 at the newly renovated Cavalier Virginia Beach; the Meeting Planner Summit, hosted by the brand new Hilton Norfolk the Main, August 16-17; and the 2017 VSAE Annual Conference, April 30-May 2 at The Hotel Roanoke. The year concludes with VSAE’s most popular annual event, the Awards Luncheon & Silent Auction at the Hilton Richmond Hotel & Spa at Short Pump on Friday, December 1. Registration for all of these events will be available at vsae.org. Formed in 1949, VSAE is a 400 plus member association consisting of association executives, association management companies, representatives from the hospitality industry, and others who serve the association industry. VSAE’s vision is to be the best at making associations the best by providing opportunities for association professionals to connect, learn, and lead. The Virginia Society of Association Executives (VSAE) will hold its monthly luncheon on Friday, January 6, 2017 at the recently renovated Jefferson Hotel. A networking reception will be held from 11:00-11:45 a.m. and a luncheon from 11:45 a.m.-1:30 p.m. Dr. Bob Holsworth is the luncheon speaker. This is the nineteenth consecutive year Dr. Holsworth will present his political insights to VSAE members. The 2016 Presidential election was a monumental one in this nation’s history. Holsworth will share what can be learned from the election and what this might mean for the country and the Commonwealth going forward. He will also give a preview of the General Assembly session and Virginia’s gubernatorial election in November. Dr. Bob Holsworth is a leading political analyst from Virginia and is seen regularly on WTVR-TV (CBS). 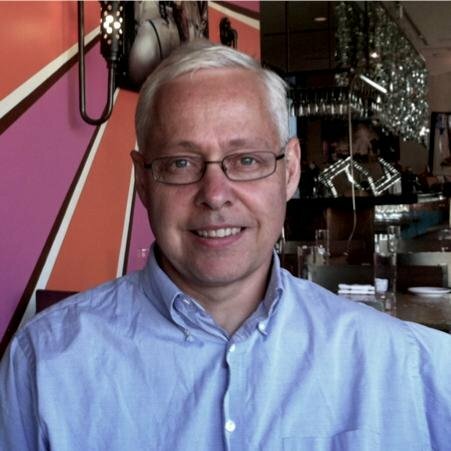 He received his Ph.D. from the University of North Carolina at Chapel Hill, and is a retired VCU professor, where he taught courses in Virginia politics, American politics, and political theory. Holsworth is always an enlightening presenter and will gladly take questions if time allows. Do not miss this once a year opportunity to hear VSAE’s most requested speaker. VSAE non-members can register for $50 for lunch, if done by Tuesday, January 3, 2016. On-site registration is available and subject to higher fees. Call VSAE at (804) 747-4971 for more information or register online now at vsae.org. Three individuals were honored last week with the highest awards in the Commonwealth’s association management industry. The Virginia Society of Association Executives (VSAE) annual Awards of Excellence were presented at VSAE’s Awards Luncheon & Silent Auction on Friday, December 2 at the Hilton Richmond Hotel & Spa at Short Pump. Richard G. Johnstone, Jr., President and CEO of the Virginia, Maryland, and Delaware Association of Electric Cooperatives was awarded the CEO Award of Excellence. The Award is given to an outstanding association professional who has been nominated by his peers in recognition of his leadership and achievement. Richard was hired by VMDAEC in 1985 as Editor of Cooperative Living Magazine. In 1999, he ascended to the role of Executive Vice President and in August of 2016 was named the association’s President and CEO. During this time, he has served VSAE in numerous ways including a long tenure on the Board of Directors and as the organization’s President from 2014 to 2015. Richard is receiving this award in recognition of his many dedicated years of service and leadership to VSAE and the association community. Wilmer Stoneman, III, CAE, Associate Director, Governmental Relations, Virginia Farm Bureau Federation, was awarded the Association Staff Award of Excellence. This award recognizes an association staff professional for his contributions to his association and VSAE. Criteria for this award include high integrity, professionalism, peer recognition, a record of success in association management, and consistent leadership and service to VSAE. Wilmer has been an active member of VSAE for a number of years. He has served in a number of volunteer roles including on the Board of Directors and as President from 2015 to 2016. During his tenure as President, Wilmer’s focus on VSAE’s Community Service efforts helped the association extend its reach beyond the association industry to helping philanthropic non-profit organizations in the Richmond metro area. Lisa MacArthur, Convention Sales Manager, Virginia Beach Convention and Visitors Bureau, was awarded the Associate Member Award of Excellence. This award recognizes a supplier or vendor from the VSAE membership who has distinguished themselves through professionalism and customer service. Lisa is an engaged member and the ideal volunteer leader. There are many activities throughout the years that would not have been possible or as successful without her. She has served on numerous committees including chairing VSAE’s Silent Auction Committee and overseeing one of the most successful years for that event. She has also served as a New Member Mentor for the organization helping to welcome new members to VSAE’s association community. The Virginia Society of Association Executives (VSAE) will hold its annual Awards Luncheon & Silent Auction on Friday, December 2, 2016 at the Hilton Richmond Hotel & Spa at Short Pump.The event will feature a Silent Auction at 10:30 a.m. with the Awards Luncheon to follow from 11:45 a.m.-1:30 p.m. The event begins with a Silent Auction featuring over 130 items. Auction proceeds go to benefit VSAE’s educational programming as well as a designated charity. This year’s charity is Log A Load For Kids, a charity program supported by the Virginia Forestry Association. The foundation raises funds to improve children's health through treatment, education, and research at Children's Miracle Network (CMN) Hospitals and other local children's hospitals. The Awards Luncheon immediately follows the Silent Auction. The luncheon features VSAE’s coveted Awards of Excellence. The Awards of Excellence recognize leadership and service to the association community over the past year. VSAE gives the awards annually in three categories. The CEO Award of Excellence is the highest award VSAE can bestow upon one of its Executive members. This award is given to an outstanding chief staff executive who has been nominated by peers in recognition of his or her leadership and achievement. The Association Staff Award of Excellence gives VSAE the opportunity to recognize an outstanding association staff professional for his or her contributions to their association. Finally, the VSAE Associate Member Award of Excellence allows the association community to recognize those suppliers and vendors among its membership who have distinguished themselves among their peers through their leadership qualities and professionalism. VSAE also uses this event to recognize other notable achievements in the association community over the past year. Regular registration starts at $49 for VSAE members and $75 for non-members. It includes access to the auction, networking reception, and a ticket to the Awards Luncheon. On-site registration is available and subject to higher fees. Call VSAE at (804) 747-4971 for more information or register online now at vsae.org. Floricane to Present "Being Strategic About Your Strategic Planning" & "Building Organizational Resiliency"
The Virginia Society of Association Executives (VSAE) will hold its November Monthly Luncheon & Seminar on Friday, November 4, 2016 at the Crowne Plaza Richmond Downtown. The meeting will feature a seminar at 8:30 a.m., with a networking reception and luncheon to follow from 11:00 a.m. - 1:30 p.m. The content leaders will be John Sarvay and Lesley Bruno with Floricane. Floricane’s seminar, “Being Strategic About Your Strategic Planning” will teach you how to determine what type of strategic planning process is right for your organization, and how to set up staff and board members for successful implementation, or not. During the luncheon, John & Lesley will present “Building Organizational Resiliency.” After this presentation, you will leave with a more positive perspective on the power of change, and new approaches to helping the people most critical to your organization adapt, change, and thrive. John Sarvay is Floricane’s blue sky thinker – challenging both clients and his own team to make big ideas better, and good ideas bigger. He has more than two decades of experience in leadership and team development, facilitation, and strategic planning and communications. He founded Floricane in 2008 after a decade of leadership development, facilitation, and strategic communication work for Richmond-based Luck Companies. Lesley Bruno is a strategic planning consultant and recovering communications professional. After many years of managing communications, marketing, and PR for nonprofits and educational institutions all over the mid-Atlantic, she now serves organizations in a different way: by determining what they need to achieve their missions and putting the pieces in place to get them there. VSAE non-members can register for the seminar for $80 if done by Tuesday, November 1, 2016. On-site registration is available and subject to higher fees. Call VSAE at (804) 747-4971 for more information or register online now at vsae.org. The Virginia Society of Association Executives (VSAE) will hold its September Monthly Luncheon & Seminar on Friday, September 9, 2016 at the Richmond Marriott Downtown. The meeting will feature a seminar at 8:30 a.m., with a networking reception and luncheon to follow from 11:00 a.m. - 1:30 p.m. 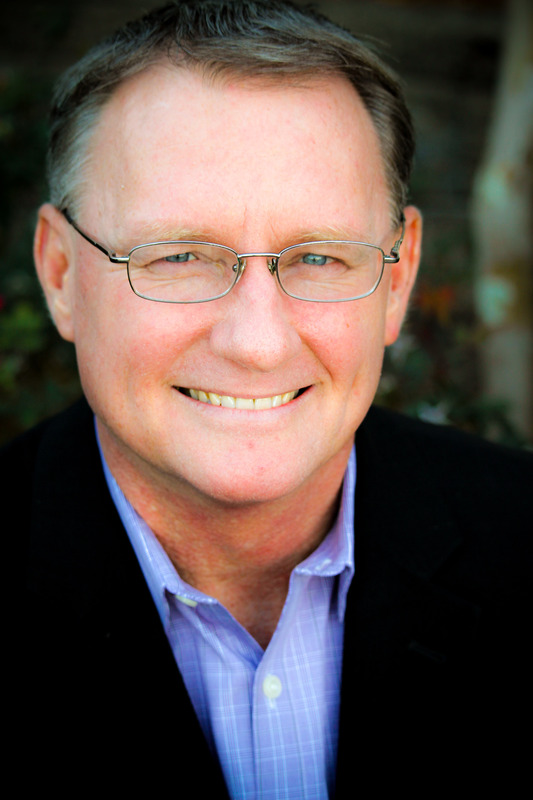 The content leader will be Tom Morrison, CEO of the Metal Treating Institute. Morrison's seminar, "How to Get Your Members to Scream Your Name and Beg for More!" will teach the keys to recruiting members; the keys to engaging them in programs; how to choose and build non-dues revenue programs; how to create a culture of innovation on the board; the key metrics to follow to make change effective and timely; and how to reach the younger generation for volunteerism and membership. During the luncheon, Morrison will present "What Is Your UBER?" This presentation will share four visuals every association should focus on in determining what disruptions are coming their way. Morrison began his career in association management in 1995. In late 2005, Tom was hired by the Metal Treating Institute. In 2008, he assumed the role of CEO, where he has been instrumental in helping MTI drive growth in their member value proposition, trade show, annual conferences, online technical training, and use of technology. He is active in the Florida Society of Association Executives, Council of Manufacturing Executives, and American Society of Association Executives. In 2012, he was named the FSAE Association Executive of the Year. VSAE non-members can register for the seminar for $80 if done by Tuesday, September 6, 2016. On-site registration is available and subject to higher fees. Call VSAE at (804) 747-4971 for more information or register online now at vsae.org. C. Lawrence Evans, Professor of Government at the College of William & Mary, will give the keynote presentation at the 2016 VSAE Educational Symposium & Expo, Virginia’s premier conference for association executives, professional meeting planners, and other non-profit leaders. The conference will take place Thursday, October 6 at the Greater Richmond Convention Center (GRCC). This is the twentieth consecutive year the Virginia Society of Association Executives (VSAE) has partnered with Virginia Business magazine and GRCC to hold this event. Evans’ presentation, “2016 and the Transformation of American Politics,” will explain the major events of the ongoing presidential campaign and offer predictions about the consequences for Virginia and the U.S. over the next fifteen years. From the rise of Trump to the return of the Clintons, the tone and content of the campaign reflect long-term political, economic, and demographic trends, and they mark a profoundly important transition in American political life. Professor Evans is the Newton Family Professor of Government at the College of William & Mary, where he has been on the faculty since 1987. His main research and teaching interests are in the area of American national institutions. In addition to a few dozen articles and other publications, he has authored three books on Congress. Over the years, Larry has served in a variety of staff positions in Congress. He regularly speaks to the media and various public audiences in the U.S. and abroad about American government and elections. The keynote presentation includes breakfast and begins at 8:30 a.m. on Thursday, October 6. A range of attendance options/registration rates are available for the event. More information about the Educational Symposium & Expo is available at vsae.org/Expo. The Virginia Society of Association Executives (VSAE) will hold its first ever Monthly Breakfast & SIG-a-Palooza on Thursday, August 11, 2016 at the Wyndham Virginia Crossings Hotel & Conference Center. The meeting will feature a breakfast at 8:30 a.m. followed by a SIG-a-Palooza event from 10:00-11:30 a.m.
A SIG-a-Palooza is a collection of small Shared Interest Group (SIG) meetings. The SIGs are member-led groups organized around areas of interest. They offer a forum for peer-to-peer learning in a small group atmosphere. The SIGs are a great way for association executives and other non-profit leaders to learn from colleagues about the issues relevant to them. There is no formal presentation or speaker. The following are the currently active SIGs that plan to meet at SIG-a-Palooza. Association Management Companies - For executives of firms that provide management and specialized administrative services to trade associations and professional societies. Emerging Association Professionals - For executives to support and advocate for the next generation of association leaders. Large Association CEOs - For CEOs of associations with six or more employees. Discussion topics include staff development, board relations, legislative issues, technology, and association resources. Meeting Planner - For association professionals who are responsible for meeting planning within their organizations. Membership - For executives responsible for or involved in membership acquisition and retention for their organizations. Senior Staff - For executives who deal with organization wide issues like strategic planning, staff management, and organization culture. Small Association CEOs - For CEOs of associations with five or fewer employees. Discussion topics include staff development, board relations, legislative issues, technology, and association resources. VSAE non-members can register for the breakfast for $50 and the SIG meetings for $40 if done by Tuesday, August 9, 2016. On-site registration is available and subject to higher fees. Call VSAE at (804) 747-4971 for more information or register online now at vsae.org. The Virginia Society of Association Executives (VSAE) will hold its June Monthly Luncheon & Seminar on Friday, June 3, 2016 at the Four Points by Sheraton Richmond. The meeting will feature a seminar at 8:30 a.m., with a networking reception and luncheon to follow from 11:00 a.m. - 1:30 p.m. The content leader will be Hanah Holpe, founder of wonderSPROUT, a brand strategy shop located in Richmond that combines rich cultural insight and actionable brand ideas to maximize business growth. Hanah’s seminar, “Bring Your Value Proposition to Life,” will explore how every leader can fully maximize the potential of his or her organization. In this session, attendees will learn about three key guiding principles to discover and bring to life their unique value proposition. During the luncheon portion, Hanah will present “5 Ways to Use Creativity to Increase Membership Value.” This presentation will share key strategies to use creative thinking and creative behaviors to benefit your business and ultimately increase your value. Hanah started wonderSPROUT more than two years ago to use her brand expertise to help both small businesses and large corporations maximize their full potential by sharpening their value proposition and bringing it to life. Before starting wonderSPROUT, Hanah worked with Jack Morton Worldwide for five years, where she started and led their Creative Strategy practice. She received her Masters in Communications Strategy from Virginia Commonwealth University’s esteemed Brandcenter and her B.S. from Florida State University in Advertising, and completed internships in strategy, advertising, and media relations at companies including DDB Chicago, The Zimmerman Agency, and FSU Media Relations. VSAE non-members can register for the seminar for $80 if done by Tuesday, May 31, 2016. On-site registration is available and subject to higher fees. Call VSAE at (804) 747-4971 for more information or register online now at vsae.org. At its annual conference at the Westfields Marriott Washington Dulles, the Virginia Society of Association Executives (VSAE) installed its newly-elected 2016-2017 Board of Directors. Barbara Homiller, CAE, senior vice president, Better Business Bureau Serving Central Virginia, was named president of the VSAE Board of Directors. Mrs. Homiller succeeds Wilmer Stoneman III, CAE, associate director, government affairs at the Virginia Farm Bureau, who became the immediate past president. Scot P. McRoberts, MPA, IOM, executive director, Virginia Council of CEOs, will serve as president-elect. Other officers include Ray Mattes, III, CAE, president & CEO, Retail Alliance, who will serve as treasurer and, Duront A. “D” Walton, Jr., executive director, Virginia Telecommunications Industry Association, who will serve as secretary. Newly installed directors include Katie Frazier, president, Virginia Agribusiness Council, and Lisa MacArthur, convention sales manager, Virginia Beach Convention & Visitors Bureau. Directors continuing to serve for VSAE are: Maureen Dingus, CAE, chief operating officer, Virginia Society of CPAs; Phyllis Errico, JD, CAE, general counsel, Virginia Association of Counties; Courtney Fleming, vice president, education and training/communications, Virginia Bankers Association; Nancy L. Israel, executive director, American Council of Engineering Companies of Virginia; Ray LaMura, president, Virginia Cable Telecommunications Association; Danny Mitchell, AAI, vice president of business development, Independent Insurance Agents of Virginia; Gail Phillips, CAE, senior vice president, Organization Management Group; and Steven Williams, partner, Hardiman-Williams, LLC. The Virginia Society of Association Executives (VSAE) will hold its April Monthly Luncheon & Seminar on Friday, April 1, 2016 at the Richmond Marriott Short Pump. The meeting will feature a seminar at 8:30 a.m., with a networking reception and luncheon to follow from 11:00 a.m. - 1:30 p.m. The content leader will be Meredith Oliver, CSP, MIRM, founder of Meredith Communications, a digital marketing agency in Raleigh, N.C.
Meredith’s seminar, “Find Your Fan Factor: 10 Slam Dunk Secrets to Pack the House at Your Next Event,” is geared to anyone responsible for marketing events. She will instruct attendees on how to get members’ attention resulting in better event attendance and engagement. Attendees will learn how to sell the value of attending events and how to create a multi-channel event marketing strategy on a shoestring budget. During the luncheon portion, Meredith will present “#NoFilter: 3 Communication Secrets to Build High-Trust Relationships With Your Fans.” This presentation will train attendees on how to communicate effectively in a world with no filter. With a Master’s Degree in Communication Technology from Rollins College, Meredith is a published author of two books, “Click Power: Drive More Traffic, Leads and Sales” and “The Fan Factor: 25 Slam Dunk Secrets to Engage Customers, Increase Referrals and Boost Sales.” Both books are available online and at her seminars. She is a professional speaker and holds the prestigious CSP (Certified Speaking Professional) designation. VSAE non-members can register for $50 for breakfast if done by Tuesday, March 29, 2016. On-site registration is available and subject to higher fees. Call VSAE at (804) 747-4971 for more information or register online now. The Virginia Society of Association Executives (VSAE) will hold its March Monthly Seminar on Friday, March 4, 2016 at the Embassy Suites Richmond Hotel. The seminar is from 8:30 until 11:00 a.m. The content leader will be Lowell Aplebaum, CAE, Chief Operating Officer with the American Society for Parenteral and Enteral Nutrition (ASPEN). Volunteers serve in so many key roles - they are visionaries and sources of strategic insight. They are the feet on the ground, welcome committee, and source of fiscal oversight. They give of their time and talent at all hours of the day. It is their association. March’s seminar will focus on how associations can repay volunteers for their generous hearts with amazing volunteer experiences. This interactive seminar will discuss the volunteer lifecycle, pitfalls to avoid, and sustainable volunteer programs. Attendees will leave the session with a better understanding of how to lead and create amazing experiences for their volunteers. Aplebaum has worked extensively in the field of volunteer management, serving as the co-Executive Editor and Contributing Author for ASAE’s Component Relations Handbook 2nd edition, and authoring the chapter on component relations for Professional Practices in Association Management, 3rd edition. He has served as an instructor on volunteer management for ASAE’s Online University, at Association Management Week, and for the U.S. Chamber of Commerce’s Institute for Organizational Management. He is a volunteer as well – serving on the CAE Commission and organizing a master level learning series called Through the CEO Lens. VSAE non-members can register for $80 for the seminar if done by Tuesday, March 1, 2016. On-site registration is available and subject to higher fees. Call VSAE at (804) 747-4971 for more information or register online now. The Virginia Society of Association Executives (VSAE) will hold its February Monthly Luncheon & Seminar on Friday, February 5, 2016 at the Omni Richmond Hotel. The meeting will feature a seminar at 8:30 a.m., with a networking reception and luncheon to follow from 11:00 a.m. - 1:30 p.m. The content leader will be Dr. Heather Williamson, President of Transformation Group, LLC, a firm specializing in performance management and organizational development. Dr. Williamson’s seminar, “The Secrets to Engaging Disengaged Employees,” will discuss how disengagement is not an event but a process over time. Causes of disengaged employees and members within associations are varied. This seminar will investigate those reasons specific to attendees based on member input and then provide actionable solutions to better engagement. During the luncheon portion, Dr. Williamson will highlight, “Five Strategies to Engage Disengaged Employees.” Attendees will leave with both a better understanding of why employees and members disengage, and more importantly, best practices to implement within their organizations. Specializing in performance management and organizational development, Dr. Heather Williamson heads Transformation Group, LLC, a leading growth and performance firm. For the past eight years, she and her team have worked with a diverse array of clients across multiple industries in an effort to provide the highest quality executive coaching, strategic planning, managerial development, and team leadership strategies. VSAE non-members can register for $50 for breakfast if done by Tuesday, February 2, 2016. On-site registration is available and subject to higher fees. Call VSAE at (804) 747-4971 for more information or register online now.